If you’re aspiring to go back to nursing school, you may be wondering how to pay for it. College tuition is already expensive, and that isn’t the only cost you have to consider. There are also the costs of the application process, other registration fees, textbooks and supplies, and of course your personal living expenses. This may all seem daunting, but it’s important to remember that some schools, and some programs, are more expensive than others. Private colleges and universities tend to be the most expensive, followed by public colleges and universities. Community colleges are generally the least expensive and most accessible. Longer programs are also more expensive than shorter programs. Therefore, earning a bachelor’s degree or master’s degree to become a nurse practitioner, which can take 6-7 years, is more expensive than completing an eight- to ten-week program to become a nursing assistant. 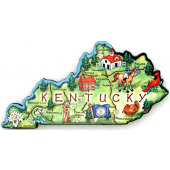 However, it is worth considering that nurse practitioners in Kentucky earn $86,700 per year on average, while nursing assistants in the state earn $22,790. This significantly higher salary will quickly make up for the greater up-front cost of education. It is also important to keep in mind that most schools offer financial assistance in the form of scholarships, grants, and student loans to help you cover the initial costs. If you’re interested in finding a nursing school within a particular price range, the below list ranks Kentucky programs from the most expensive to the least expensive.